Rebecca A. Myers - Gentile, Horoho & Avalli P.C. Rebecca Myers had an interest in helping families and individuals navigate the difficult issues of separation, divorce, support and custody since long before she began practicing family law at Gentile, Horoho & Avalli. She has always seen the importance of family law practitioners being sensitive to the needs of their clients, throughout what will most likely be a very difficult chapter in their lives. She found in the more than a decade she has been practicing family law at Gentile, Horoho & Avalli, that litigation, and the adversarial process, is not for everyone. In an effort to meet the needs of her clients, she completed a mediation training approved by the Association for Conflict Resolution, focused specifically on Family Conflict mediation. 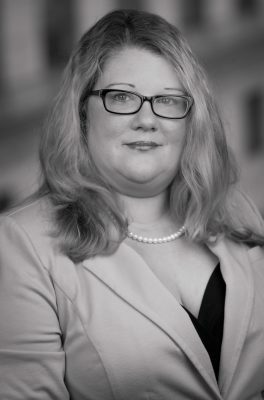 Ms. Myers is also a certified collaborative attorney capable of assisting clients through the collaborative process and is a member of CLASP and the International Academy of Collaborative Professionals.